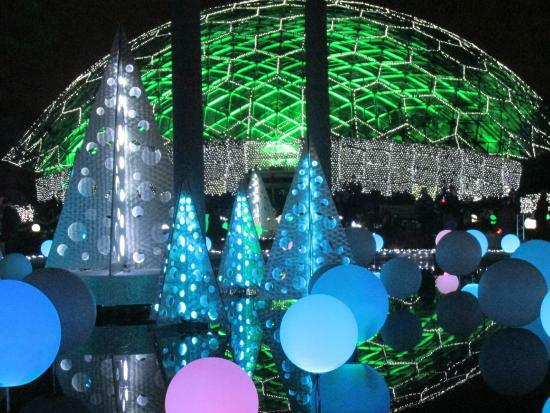 The holiday season in St. Louis is jam packed with holiday activities. From parades and holiday lights to indoor winter festivals and theater performances. 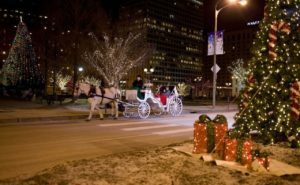 So, put a visit to St. Louis on your holiday “to do” list! 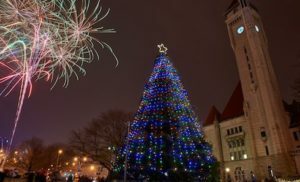 (Nov. 19 from 3-7:00 p.m. at St. Louis Union Station) – The highly anticipated Ameren Missouri Festival of Lights will once again help ring in the holiday season in St. Louis with entertainment, food, holiday lights and fireworks. 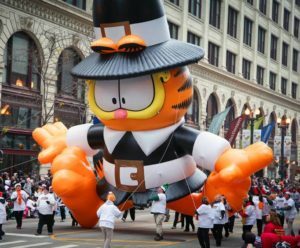 (Thursday, November 24 at 8:45 a.m. from 7th Street and Market Street in Downtown St. Louis)-Celebrating its 32nd year, the 2016 Ameren Missouri Thanksgiving Day Parade is sure to impress. We expect over 130 parade units, including musical floats and displays, giant helium balloon figures, animal units, restored antique cars and firetrucks, and marching bands from around the St. Louis region. As always, Santa Claus will be present to wish everyone a Happy Thanksgiving and Merry Christmas at the end of the parade. (November 19 to January 1 Open nightly from 5 to 10 p.m. Closed Christmas Eve and Christmas Day)-Garden Glow features a million lights surrounding visitors with a spectacle of unique installations amid some of the Garden’s most iconic locations. Enjoy interactive photo opportunities, traditional holiday music and festivities, delicious food and drinks and more as the Garden is transformed around you into a winter wonderland. 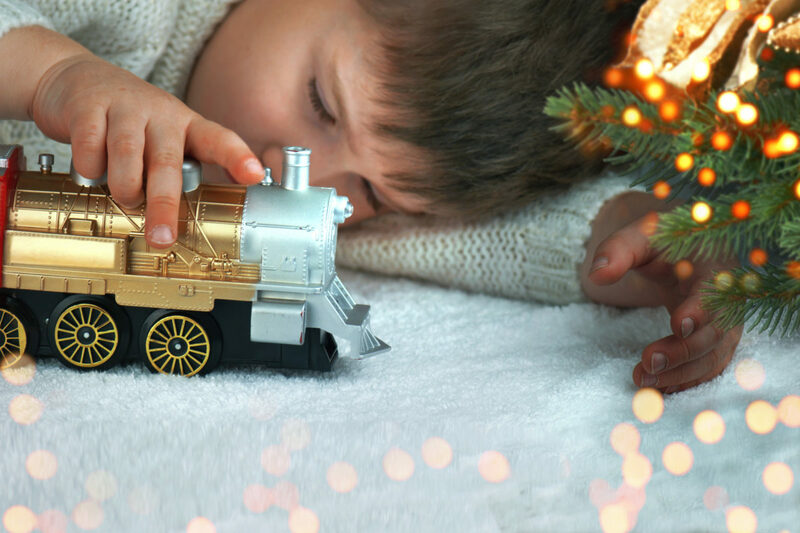 November 18 through December 30, 2016 The Santa Express Train Ride featuring ’Twas the Night Before Christmas. Headlines the 2016 Holidays at St. Louis Union Station. 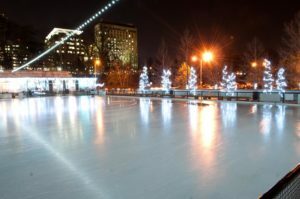 Spectacular decor, North Pole Village activities, ice skating and a new Fire & Light show offer family fun all season long. 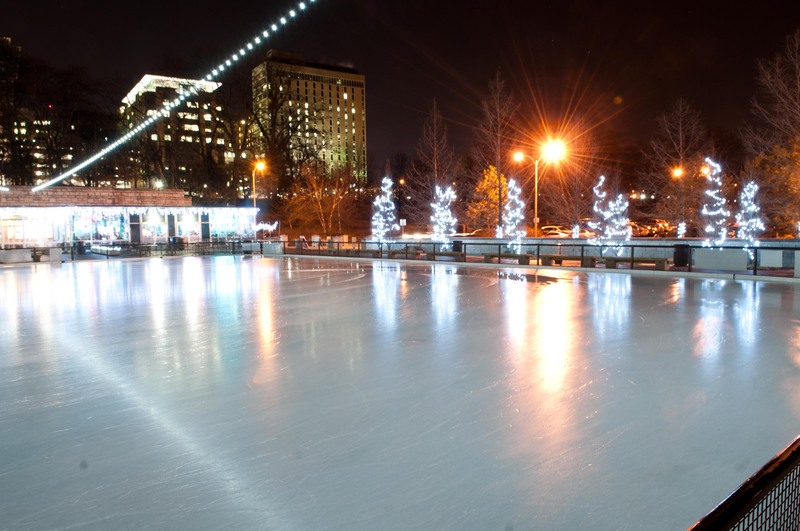 Visit Holidays At Union Station for more info on all of the upcoming events. (Nov. 23 – Jan. 1) – Don’t miss your chance to see one of the most popular Christmas light displays in the area. 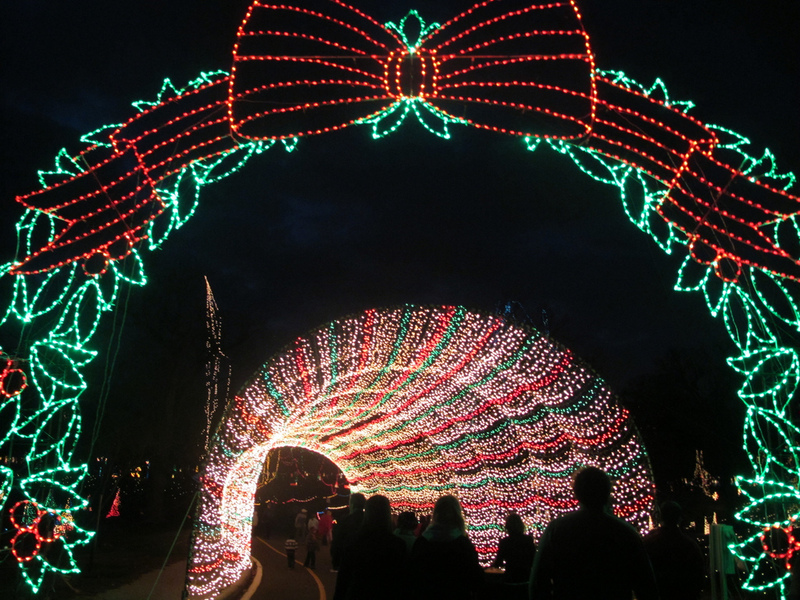 For 29 years, Tilles Park in St. Louis County has been making memories for families across the region with its Winter Wonderland. 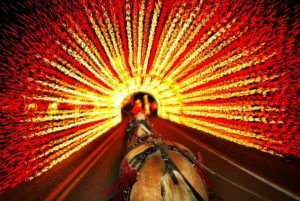 If you want to make your visit extra special try a horse-drawn carriage ride. St. Louis has wonderful themed light displays. 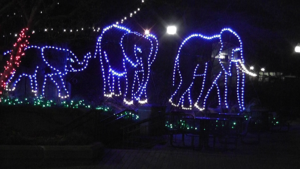 Be sure to check out Way of Lights (Nov. 18 – Jan. 1) at the Shrine of Our Lady of the Snows. This unique display features a mile-and-a-half drive of over one million lights and displays that include life-size biblical statues taking visitors on a journey to Bethlehem. 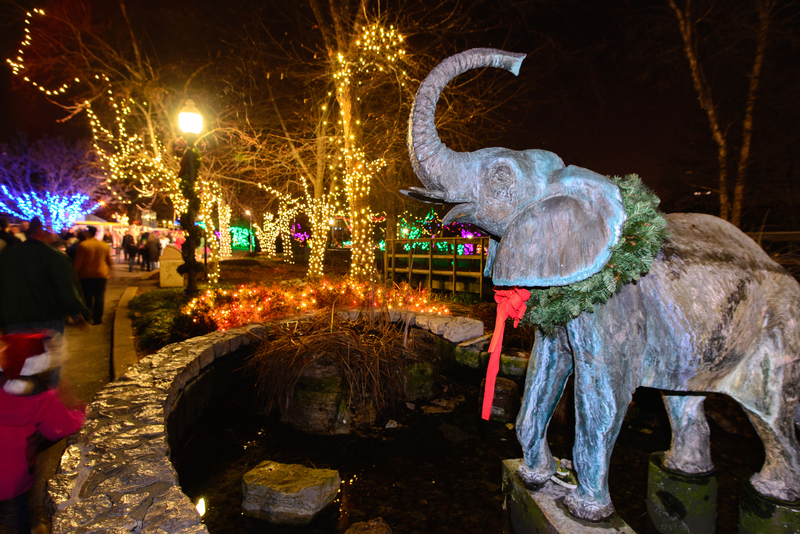 Take in the lights with some of your favorite animals at U.S. Bank Wild Lights at the Saint Louis Zoo(Nov. 25- Dec. 31, 5:30-8:30pm)-Stroll through the Saint Louis Zoo’s enchanting holiday wonderland and enjoy 500,000 twinkling lights, illuminated animal displays, seasonal sounds and all kinds of festive fun. Sit back, relax and enjoy the show and St. Louis’ amazing cultural venues. 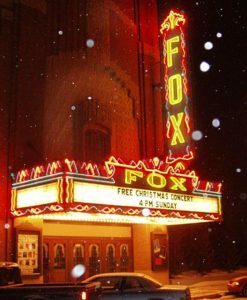 Be sure to check out the holiday show and concert listings for The Fabulous Fox Theatre, Peabody Opera House, The Sheldon Concert Hall, Touhill Performing Arts Center and the Cathedral Basilica. Don’t forget your holiday shopping, as stores across St. Louis have just what you need for everyone on your gift list. From The Loop to Washington Ave. , or the quaint shops in Webster Groves, Kirkwood and historic St. Charles. 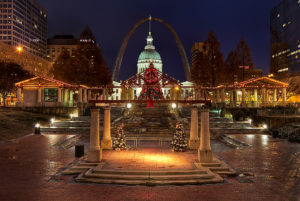 St. Louis area has some of the finest boutique shops for holiday giving. Mall lovers will feel right at home in St. Louis’ Westfield West County and Saint Louis Galleria that boast some special options along with nationally known retailers. The luxurious Plaza Frontenac provides the wonders of Saks Fifth Avenue, Neiman-Marcus and other high-end shops. Bargain hunters won’t have to look far, as Chesterfield is home to both Louis Premium Outlets and Taubman Prestige Outlets, offering yet another great shopping experience for residents and visitors to the region.